Sometimes it’s hard to know if the information you find on the web is trustworthy. Or, what if you just can’t find what you need. Free, credible, current, comprehensive information about cancer prevention and screening, diagnosis and treatment, research across the cancer spectrum, clinical trials, and news and links to other NCI websites. Health information for the whole family by the American Academy of Family Physicians (AAFP). Find information on health conditions, wellness issues, and more in easy-to-read language. 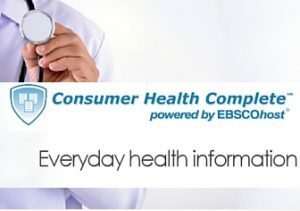 Consumer Health Complete is a database that contains a wealth of information. Depending on how and where you connect, you may need special login username and password to access.